Ethan is back home after a harrowing mission that left him injured, both physically and mentally. Coming home to the family farm and bed and breakfast is not exactly what he wanted to do, but he knows that he needs the peace and quiet. Mia is spending the summer in the hinterlands, as she calls it, as a favor to one of the clients of her PR firm. His daughter was in some legal trouble and has to spend the summer doing community service and needs a baby sitter. It’s not her ideal way to spend her time but knowing that her client would make a fabulous mayor, she's willing to do whatever she can to make sure that nothing gets in the way. What Mia doesn't expect is that she likes being at the farm, and that she likes spending time with Ethan and his sisters. As the summer winds down, Mia realizes that she doesn't want to leave the farm but knows she has to go back to the city. Ethan doesn't want her to leave either and vows to make their relationship work no matter what it takes. Even if the city makes his PTSD worse. The story gives the reader a strong sense of what it takes to deal with tragedy and come through the other side. I can't wait to read the second book in the series. Ethan is coming home feeling a little broken. He was once a very good horse whisperer. Now, being back home, he has lost some of his confidence. But he loves being back at his family's ranch, even if it now is his job to oversee a delinquent there to serve out her community service. Mia is an amazing PR person. However, her candidate's daughter has been getting into trouble lately and it is now Mia's job to watch over her. Mia is tasked with being the "aunt," and making sure that she stays on the straight and narrow isn't Mia's idea of a job well done. However, she believes in her client and will do this to ensure he is elected. Ethan and Mia both have preconceived notions of each other. When they both realize they might have jumped the gun a little, sparks fly. Ethan realizes that Mia has been hurt in the past and Mia recognizes Ethan's own troubles. They both help each other heal and it was a sweet story to watch unfold. I also really got to like the secondary characters. I hope that we get to see more of them in future books! 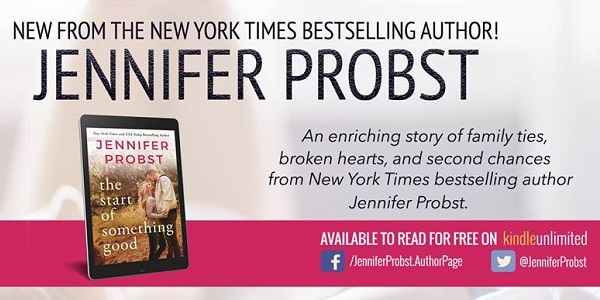 Jennifer Probst is the New York Times bestselling author of The Billionaire Builders series, The Searching for... series, The Marriage series, and The Steele Brothers series, among others. The Start of Something Good is the first book in her new Stay series. Like some of her characters, Probst, along with her husband and two sons, calls New York’s Hudson Valley home. There, she enjoys reading, watching “shameful reality television,” and visiting an animal shelter, when she isn’t traveling to meet readers. 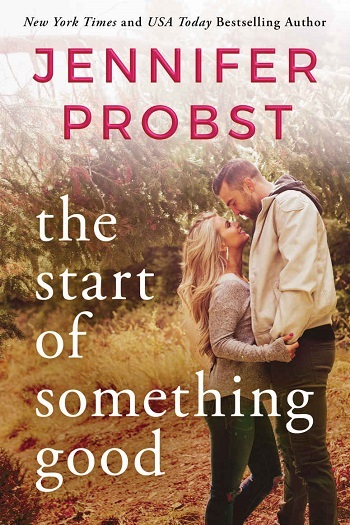 Reviewers on the Wicked Reads Review Team were provided a free copy of The Start of Something Good (Stay #1) by Jennifer Probst to read and review.